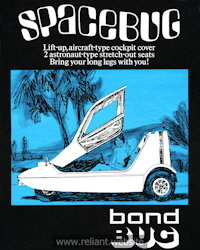 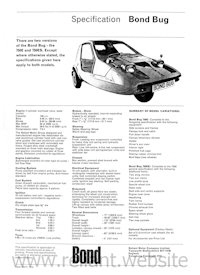 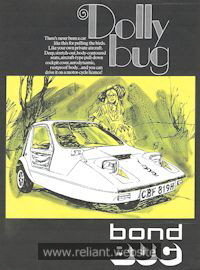 if you have any brochures for the Bond Bug not detailed on this page or for those where scans are not present in the catalog then please click here. 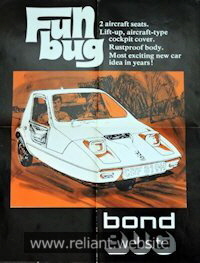 Notes: Version 1 shows an address for Bond Cars Ltd in Tamworth..
Notes: Version 3 shows just the Reliant Motor Company name and address. 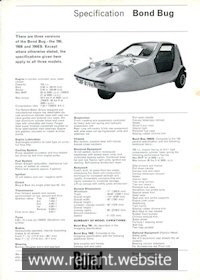 Notes: Version 2 shows the Reliant Motor Company name and address.